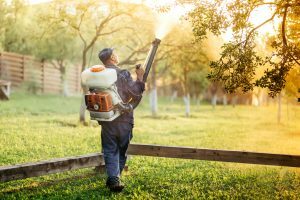 Mosquitoes can make spending time outdoors a real nightmare, and it is even worse when these irksome pests invade the interior of your Southern California home or business. But these insects are much more than just irritating pests — mosquitoes carry and transmit a number of diseases and pathogens including West Nile virus, encephalitis, and Zika virus. Mosquitoes transmit these and other mosquito-borne diseases to humans through a bite. Mosquitoes also carry heart worms that can infect your beloved pets. When mosquitoes infest your yard and commercial property, you, your loved ones, your pets, and your customers are at risk of being bitten by mosquitoes. 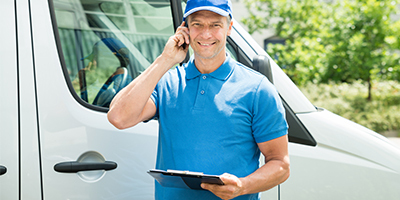 This is why our Top Rated Local® pest control team has developed effective mosquito control and prevention programs to protect your home and business. 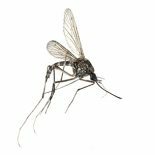 Our company has designed our seasonal mosquito control program to create a mosquito barrier around your home or business to keep these pests under control. With the use of EPA Registered products we can help you keep your family and pets safe from mosquitoes. Using effective pest prevention methods, we limit mosquito activity on your property to stop them from breeding and nesting in areas like tree holes, yard decorations, and areas with standing water. Our innovative mosquito control treatments are designed to diminish mosquito populations while safeguarding your property with a protective mosquito barrier to keep them from invading your yard and structures. Only a few hundred mosquito species feed on blood. Mosquitoes in Southern California are more active in the afternoons during hotter temperatures. Mosquitoes are attracted to lactic acid, carbon dioxide, and octanol, all of which are found in breath and sweat. Female mosquitoes are the biters — they need to feed on blood before laying their eggs. Female mosquitoes lay their eggs in shallow water, which is why it is essential to remove standing water from your home, yard, and indoor/outdoor objects. 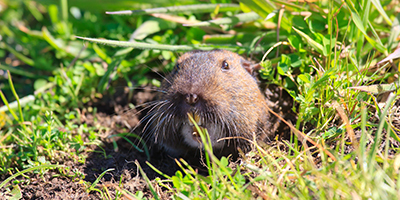 Along with getting regular mosquito prevention, seasonal mosquito maintenance, and mosquito control, there are proactive steps you can take to safeguard your home from these pests. Use Natural Repellents – Planting mosquito repelling plants, flowers, and herbs in and around your home can keep the mosquitoes away. Plant lemongrass, lavender, basil, rosemary, and marigolds in your garden to control mosquitoes. Keeping these in pots near entryways and windows can deter them from getting inside your home. Install Window Screens – Keeping windows open without screens only invites mosquitoes and other insects into your home. To avoid this, install window screens to keep out the flying critters. Repair Damaged Screens – Regularly inspect your windows screens for signs of damage like tears and holes. 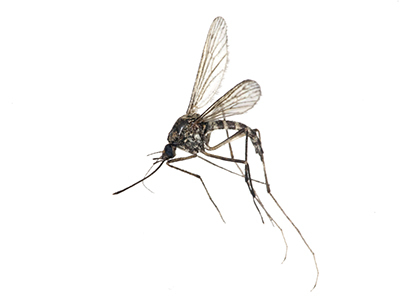 Flying insects like mosquitoes can easily enter your home through even the smallest tear. Either repair or replace damaged screens to safeguard the interior of your home from mosquitoes. Seal Leaks – Whether caused by severe weather or degradation over time, it is common for areas around doors and windows to become damaged. Mosquitoes and other pests can enter your home through these spaces, so be sure to inspect these areas regularly. Seal holes, cracks, and other leaks using caulking material. 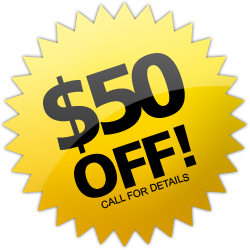 Yard Maintenance – Controlling the vegetation in your yard is an effective way to reduce mosquito and pest infestations. Overgrown vegetation can become a haven for resting and breeding mosquitoes. Cut back long, overgrown vegetation to help control mosquitoes. Remove Standing Water – Mosquitoes love water features, gutters, tree stumps, bird baths, puddles, pools, and any objects that can gather rainwater. This is because female mosquitoes lay their eggs in water and only require as a little as 10 millimeters of water to lay their eggs, which is just a tiny amount. Be sure to remove water from these and other common objects that collect water. If you’re ready to take back your property from these bothersome pests, contact Gopher Patrol to schedule mosquito control or to enroll in our seasonal mosquito control program to effectively eliminate mosquitoes and other pests from your property.